Thank you for visiting our website. With over 40 years driving experience, together 18 years of instructional experience. At Dolmen School we offer driving lessons in both MANUAL and AUTOMATIC dual controlled cars. We also offer category BE trailer lessons. Pupils who are a little nervous of learning to drive are very welcome. Lessons are tailored to individual needs, we adapt and modify instruction and teaching style to ensure every pupil learns in a relaxed and stress free environment. 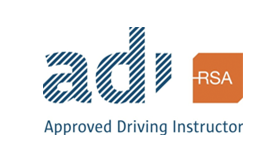 Lessons are of one full hour duration with EDT lessons the logbook is completed on completion of lesson .Block booking discounts and personalised vouchers are available. Bille-Jean Bell 31 March 2014 Carlow. I passed my driving test after a long few months of pre--tests and studying. Thanks to my Driving Instructor, Philip; your help and encouragement was amazing. I could never have done it without you. It took many lessons but in the end I passed first time with only 4 minor mistakes, happy days! I felt at ease and relaxed, my confidence grew and I started enjoying my driving lessons. I've made a friend for life. Bille-Jean Bell 31 March 2014 Carlow. I passed my driving test after a long few months of pre--tests and studying. Thanks to my Driving Instructor, Philip; your help and encouragement was amazing. I could never have done it without you. It took many lessons but in the end I passed first time with only 4 minor mistakes, happy days! I felt at ease and relaxed, my confidence grew and I started enjoying my driving lessons. I've made a friend for life. "Philip is a patient and friendly instructor, making the learning process highly enjoyable and worthwhile. Lessons were tailored to my driving ability and I felt confident when ready for my driving test. 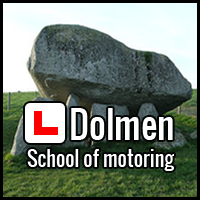 I would highly recommend Dolmen School of Motoring." 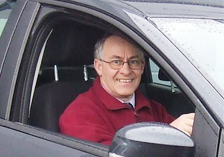 "Philip of Dolmen School of Motoring gave me my 12 EDT lessons. Although I was able to drive he showed me how drive more safely, he is an excellent instructor, who takes great care and pride in what he does. He has a wonderful ability to give instruction in a clear and uncomplicated manner. He made driving stress free, with his help I passed my test first time. Many thanks Philip. " I was a particularly anxious learner driver, absolutely terrified of being out on the open road and feeling quite overwhelmed at having to control a car. I now have my full driver's license and am driving the past 3.5 years. I would highly recommend Dolmen School of Motoring. Ivan Bergin 4 April 2014, Athy.